Attacks by suspected Al-Shabaab militants in the Kenyan coastal region of Lamu are raising concerns that the Islamist group is attempting to disrupt the election tomorrow (8 August), as international observers warn of chaos if the result is perceived as rigged. The election, between current President Uhuru Kenyatta and his opponent, former Prime Minister Raila Odinga, is once again dividing Kenya along tribal, as well as political, lines. Their campaigns have been ethnically polarising and observers fear unrest may break out as it did following the 2007 elections, when over 1,000 people died and 600,000 were displaced. But the chief executive of Kenya’s Institute of Economic Affairs, Kwame Owino, told the Guardian Kenyans should have higher aspirations than “just” peaceful elections. “I’m tired of this idea, will the elections be peaceful or not? That’s not the only result that we expect. We have a very ambitious constitution, so to simply say that we have a result and we have no violence, that’s setting a very low bar for ourselves. I think we should be more ambitious and say we’ll have a peaceful election, we’ll have a legitimate presidency, we’ll have a successful transition, because there’s also the parliamentary elections,” he said. But tensions could not help but heighten this week following the murder of Christopher Chege Msando, a key high-level official of the Independent Electoral and Boundaries Commission (IEBC).He was one of the officials who kept IEBC’s computer passwords and knew the location of the servers that will run the elections. “We call upon the relevant institutions to ensure speedy investigations and prosecution of this heinous crime. The inevitable speculations that are really not useful in a charged environment must be stemmed,” said Rev Peter Karanja, the National Council of Churches’ general secretary. But parts of the coastal and north-eastern communities also face the threat posed by Al-Shabaab ahead of the election. 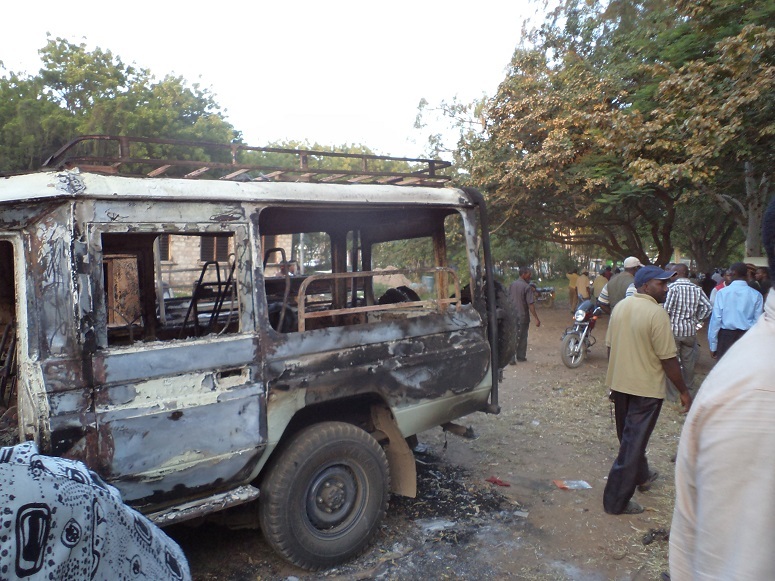 In the past, the Al-Qaeda affiliate in East Africa has targeted Kenyan Christians, attacking churches, public places and buses. This has left behind a trail of pain and destruction, and has instilled fear among regions where Christians are the minority. In April 2015, Al-Shabaab gunmen armed with AK47s attacked the Garissa University College, killing 148 people – mainly Christian students. The previous year, the group had killed 60 people in the Mpeketoni area in Lamu, in attacks that targeted Christian men only. The militants struck the Westgate Shopping mall in 2013 in an attack that left 68 people dead. They separated Muslims and killed Christians in one of the deadliest attacks in the city. 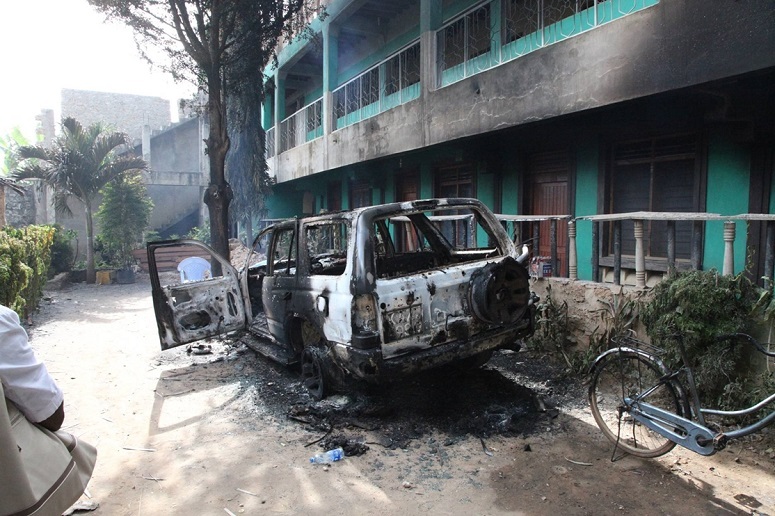 Now, the increased attacks in Lamu are leaving Christian leaders worried that the militant group is bent on disrupting the election, or influencing voting patterns in the largely Muslim region. Al-Shabaab has put out a video to that effect, and on 28 July ambushed a car belonging to the ruling Jubilee party in Mandera. The driver and a passenger were reported missing. “Al-Shabaab would definitely be interested in the Kenyan elections, especially in this part, where they are believed to operate,” said Fr Wilybard Lagho, vicar general of the Roman Catholic Archdiocese of Mombasa, in an interview. “They are opposed to the elections, which are about democratic values. For them, the elections will legitimatise these secular values, as opposed to their ideology of a Sharia or theocratic leadership,” the cleric said. On 2 August, suspected militants killed three people travelling in a car and a passenger bus on the Garsen-Witu-Lamu Road in Tana River County. The dead included two county government officials. Tola Sammy Mwakisha and Engineer Chrispine Dullu worked for the Tana River County government in the Public Works and Electrical Engineering departments, respectively. The attack left four others with bullet injuries. “I condemn the horrific attack and call upon security personnel to increase surveillance on the Garsen-Lamu road and within the county ahead of the election,” Hussein Dado, the Tana River Governor, said in a statement after the attack. Al-Shabaab’s members are thought to have killed at least 20 people in attacks ahead of the elections. In July, the militants killed the bodyguard of Public Works Permanent Secretary (PS) Mariam El Maawy, as well as her nephew, driver and two other people in the Milihoi area. On the night of 7 July, the militants had surrounded Jima village and beheaded nine people, in an attack that targeted men only. Two days earlier, attackers had killed four people in the Pandaguo area, in a similar pattern. This appeared to be a change of strategy for the group, which has used Improvised Explosive Devices (IEDs), guns and grenades to attack Kenyan Christians. “The recent insecurity in the region has been of great concern to us. We are seeing some people moving, but we are engaging, as the clergy from the region, to see how we can arrest the situation,” said Reuben Lewa, a bishop of FEPA Churches in the coastal region. Reports suggest Al-Shabaab has set bases in Boni, a forest that straddles the Kenyan-Somali border. The group has been using the forest as a cover to attack villages on the Kenyan side, according to security sources. “We know that the forest has been used to plan attacks in Kenya. We also have to understand that Al-Shabaab, like any other such terror group, is an amorphous entity,” said Fr Lagho. The attackers are believed to be Kenyan youths trained by the group in Somalia, before returning to the country. Church officials say they were brainwashed, radicalised and recruited on the basis of promises of a better life and benefits for their family. “We believe that some people have been paid by the militants to ensure a constant supply of young fighters. At first, they used schools and madrassas, but that has since changed after the security and religious leaders became alert. They are now using social media to recruit. There is a lot of deception,” said Fr Lagho. The complex problem in Lamu is not likely to go away soon, stated Anglican bishop Julius Kalu of Mombasa, citing a mix of local politics and Al-Shabaab’s presence. According to Bishop Kalu, things started changing in the region in 2012, when the people – many of them Christians from further north – who had been settled in the region since the 1970s started registering as voters. This is then compounded by the presence of Al-Shabaab, who are attacking villages due to the presence of security forces, according to Bishop Kalu. 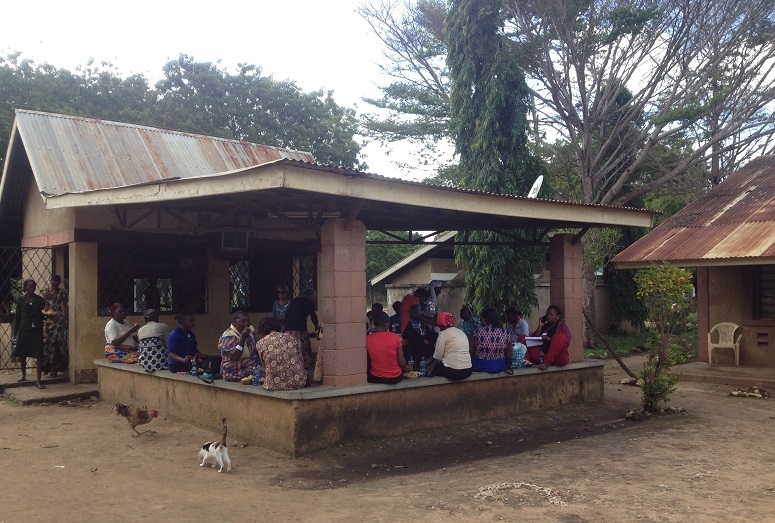 Local Christians have told World Watch Monitor election candidates have promised them protection and greater inclusion, but they have also received veiled threats from supporters to not “mess up” the elections by voting for the wrong candidates.